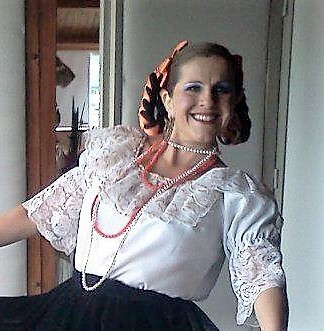 Enoe studied Colombian Folklore Dancing and Contemporary Dancing at CASA DE LA CULTURA in Chia, Cundinamarca in Colombia. She studied with Vicente del Castillo and Rafael Patiño in the year 2000. She further her studies at the Folklore Ballet Yutavaso with Consuelo Cavanzo in Bogota, where she was able to explore the Folkloric and International rhythms. She was also able to evolve as a ballerina in the next few years.